The Civilian Marksmanship Program sponsors teaching shooting with military style firearms. You may shoot an M1 Garand, M1 Carbine or an AR15. The course of fire includes shooting from Prone, Sitting and Standing. You will receive a block of instruction prior to the event to familiarize you with the rifles and course of fire and safety. You fire 35 rounds from the Prone position, 10 rounds from Sitting and finally 10 rounds from the Standing position. You must have a License for Firearms or an FID card or proof of a NRA Safety Course. Min Equipment: Ammo / 50 Rounds, two mags, pistol meeting the following requirements. Pistols must be semi-auto pistols that are practical or suitable for issue as a military or police service pistols. Pistol calibers cannot be smaller than 9 mm or larger than .45 cal. Barrels may not be more than five (5) inches in length. Pistols must have a single or striker action trigger pull of not less than 4.0 lbs. (Glock and Springfield Armory XD pistols with barrels no longer than five (5) inches are permitted). Pistols may not be match conditioned. Pistols must be equipped with standard issue non-adjustable sights. 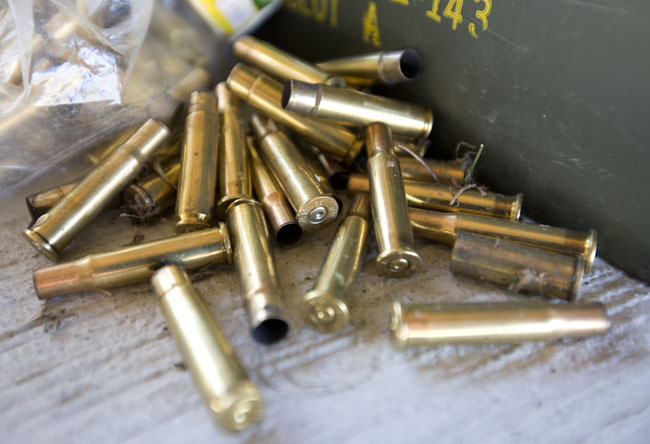 Ammunition used with Military & Police Service Pistols must be loaded with full metal-jacketed round nose bullets. The pistol must be a U. S Armed Forces issue M1911 .45 ACP pistol or a commercial pistol of the same general type and caliber. The pistol must be in as-issued or “factory stock” condition, with standard grips and non-adjustable sights and without specialized match conditioning features. The pistol must generally conform to the weight and dimensional specifications of the standard-issue service pistol. Re-barreling with a barrel of the same type and length as the M1911 barrel is permitted. Only government-issue parts or government or commercial parts of the same general weight and dimensions may be used. The trigger pull must be at least 4 lbs.